Premium rum is shaping up as the next big sipping category. More Americans are becoming spirits connoisseurs after the recent successes of premium whiskey and tequila. And with how much modern consumers love to explore categories and experiment with quality products, it could be only a matter of time before they find themselves drinking their way through the world’s premium rums. One problem: While whiskey and tequila are typically made under rigid guidelines — whiskey especially — rum is sometimes produced in countries where the rules are not so strict. This can lead to misleading information on rum bottles, causing confusion among consumers who are not quite sure what they’re drinking. This means a number of things. First, the country’s government produces molasses (along with help from privately owned mills) before selling it to distilleries. Moreover, the Jamaican government is strict about the accuracy of age statements on rum bottles. One of the big issues with rum today is that some countries are not as rigorous with this. That’s how bottles with age statements like 8-12 years can cost the same as a 3-year rum from a distillery in a country that better supervises its rum industry. To maintain this accuracy, the Jamaican government keeps track of individual barrels aging at distilleries, much like in Venezuela. This ensures that the age statement on a bottle reflects the youngest spirit within, rather than the average of the ages. The Jamaican government also certifies every export of its country’s rum, explained Joy Spence, Appleton Estate’s Master Blender. 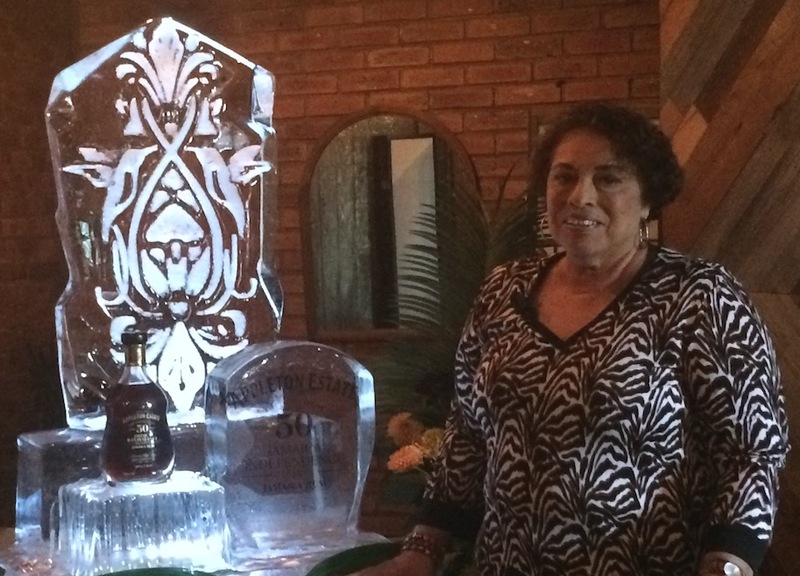 Joy Spence, Appleton Estate’s Master Blender, with the brand’s new 50-Year-Old rum, which retails for about $5,000 per 750-ml. bottle. Or, the process by which rum interacts with wood within barrels is sped up by 300%, Spence said. This is due to the Jamaican heat, she explained, which causes the wood of the barrels to expand and condense, sucking in rum and then forcing it back out. This increases interaction between spirit and wood, affecting the flavor at a greater rate. Spence said that scotch companies had actually experimented with aging in Jamaica and found that one year in the country equals three years back in Scotland. Which does raise the question as to why more whisky companies do not do this. And it will still be considered rum. This is a Caribbean-wide law, applying to Jamaica. This is done for extra flavoring, as in with sugar, for instance. Spence stressed that Appleton does not add anything and forgoes this, creating flavor with distillation and aging only. Sounds obvious, but Jamaican rum is also a style of the spirit that can be replicated elsewhere. So while Jamaican-style rums tend to be darker, heavier, and funkier, a rum calling itself Jamaican legally has to have been made there. And not all Jamaican rums are made in the country’s traditional style, of course. Spence added that there is work underway to establish a specific certification for Jamaican rum that could be printed on bottles from the country.